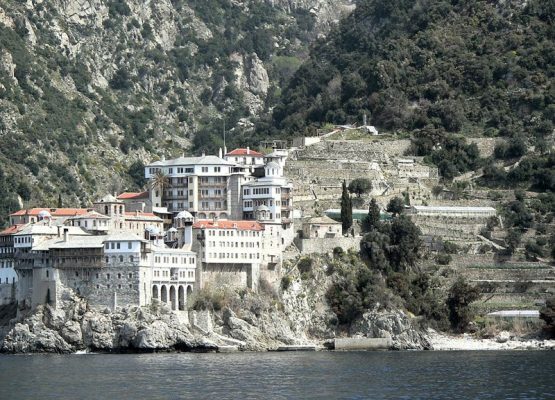 Built by the sea, the monastery is surrounded by four aisles, presenting a rectangular shape. 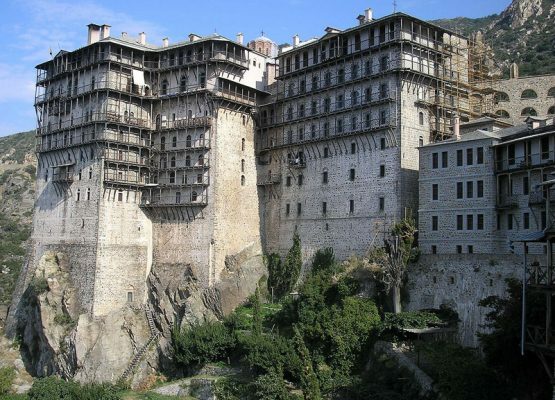 In the center, one sees the central church, founded in the 10th century, as the two historically important chapels, of Panaghia Portaitissa and of John the Precursor. The largest part of the aisles has been rebuilt during the 19th century. 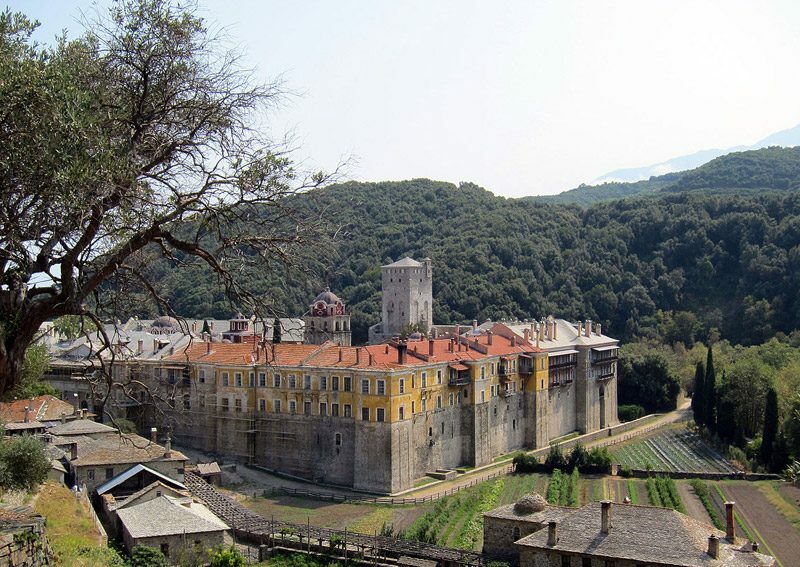 A numerous monastic community is in charge of the restoration of the ruined buildings surrounding the monastery and offers hospitality to scientists from all the world, who wish to study the historic heirlooms of the monastery. 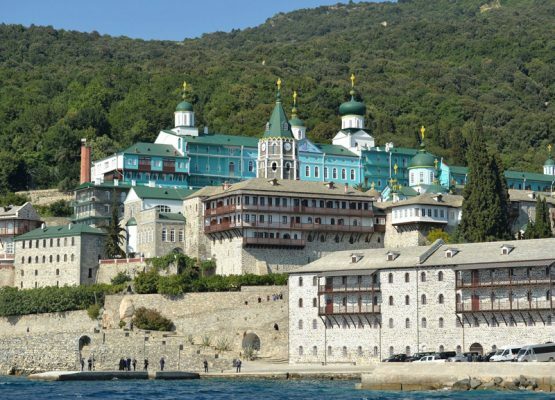 The monastery΄s feast is on August 15th – day of the dormition of the Virgin – (August 28th in the New diary) and is celebrated with particular splendour. 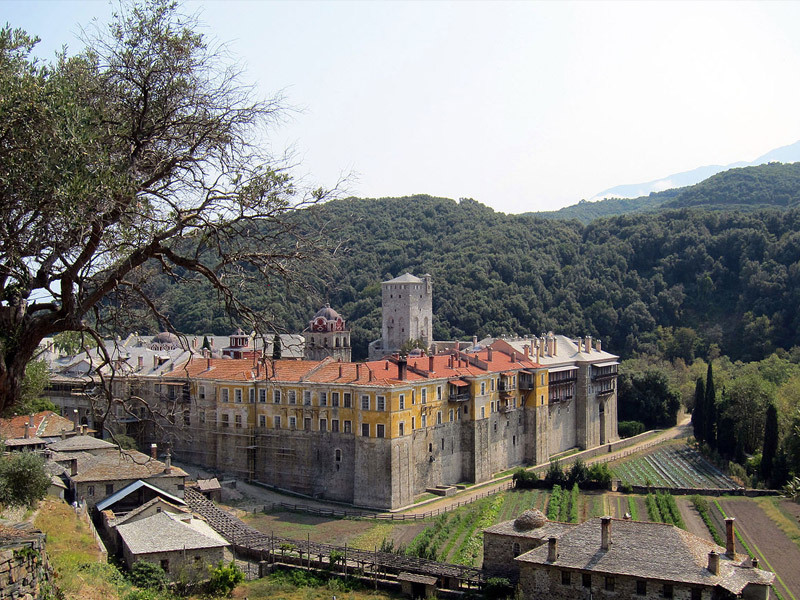 Many pilgrims visit the monastery for the legendary miracles of the Panaghia Portaitissa.